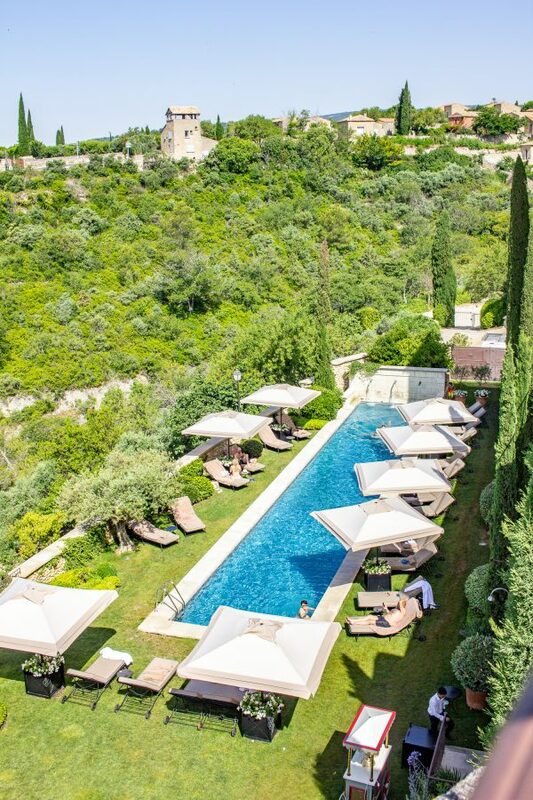 Some hotels outshine the others, and La Bastide de Gordes is a perfect example. 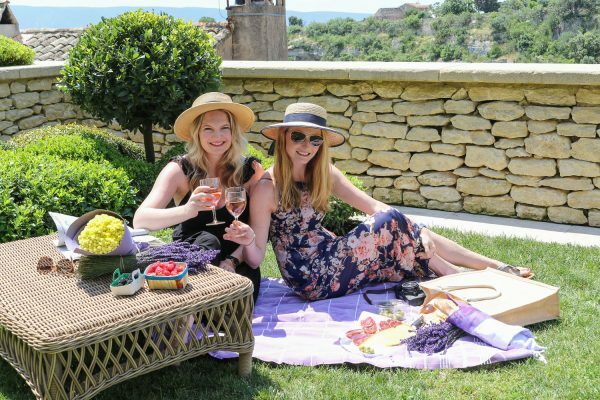 It is a slice of paradise in Provence that brings together a stunning hotel in a charming French village with incredible hospitality. Let’s take a virtual trip! 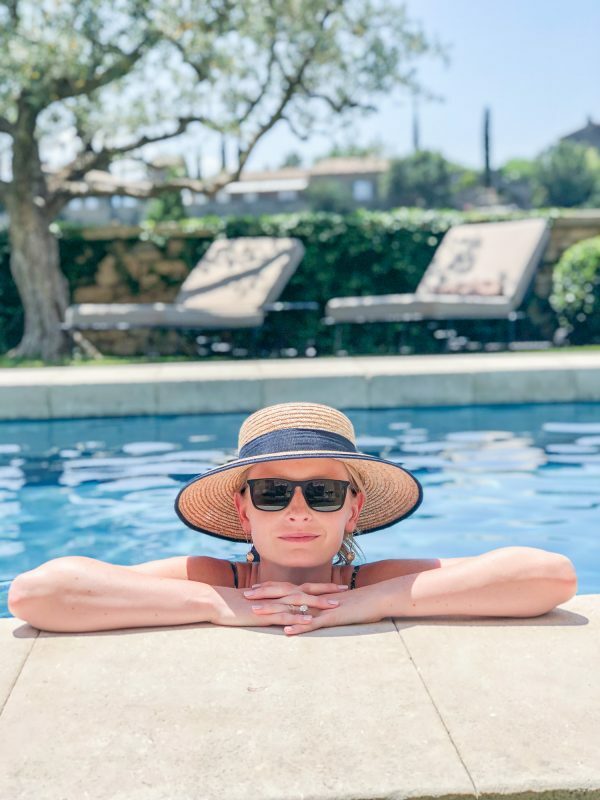 “I’ve been a lot of places, and this is one of the best,” is how a famous actor described La Bastide de Gordes as we lounged at the pool. Kelly and I agreed with him, out of all the places we have stayed, this hotel is one of the absolute best. I am dreaming of going back. 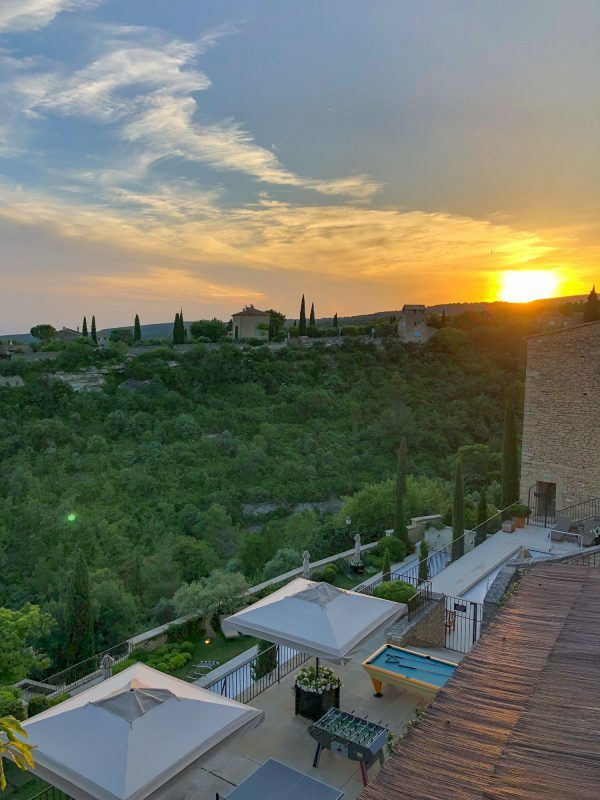 Gordes is one of those tiny scenic European towns that most people just visit for an hour or two, which is a shame because you would miss out on the experience of staying at the exquisite La Bastide de Gordes. 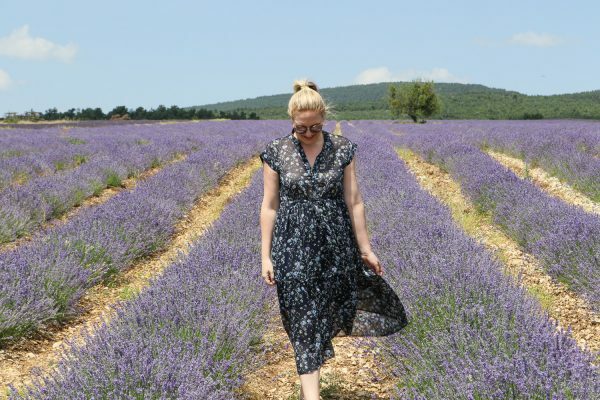 While in France, Kelly and I fell in love with this small hilltop luxury hotel. 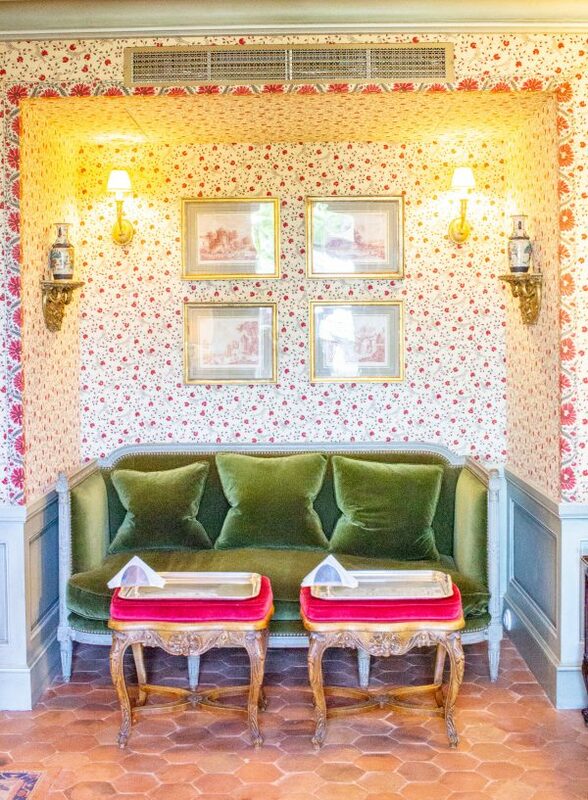 From the outside, La Bastide de Gordes looks like your typical small boutique hotel. You wouldn’t think much of it if you walked past it. 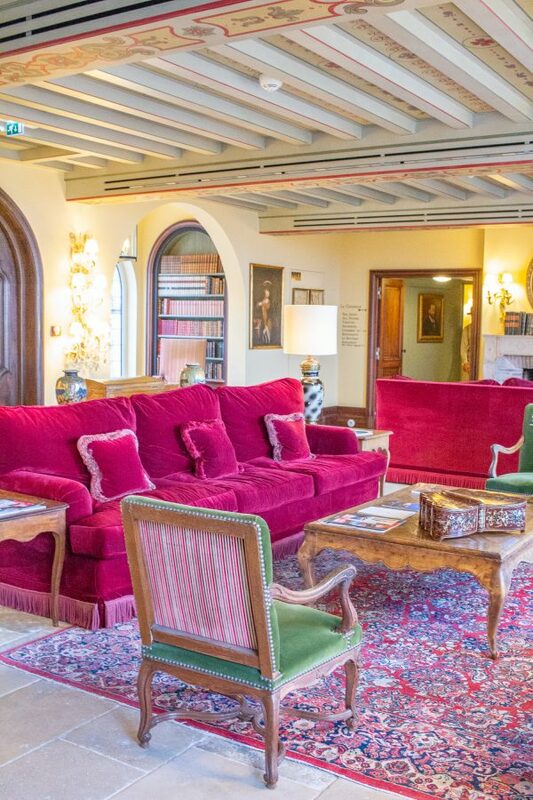 But once you are inside the hotel reveals its magic. 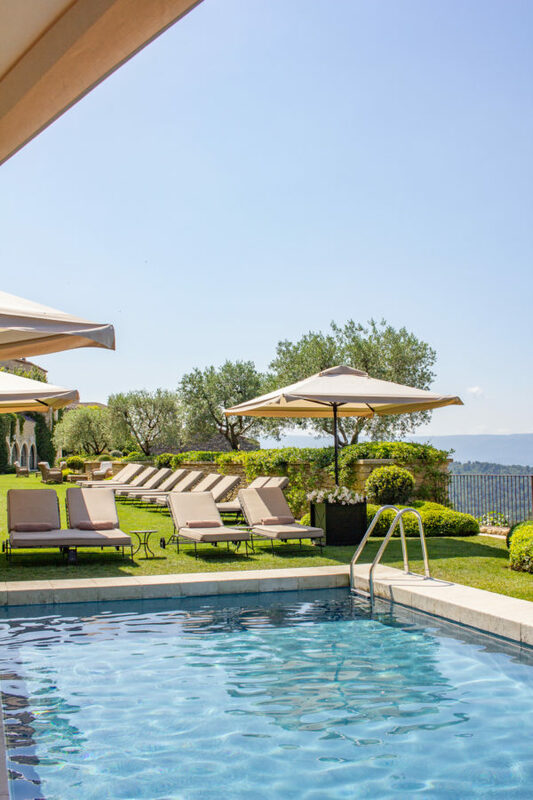 Built into the top of the rocky hillside, the eight level 40 room property is the ideal vantage point for viewing the valley below and the mountains in the distance. 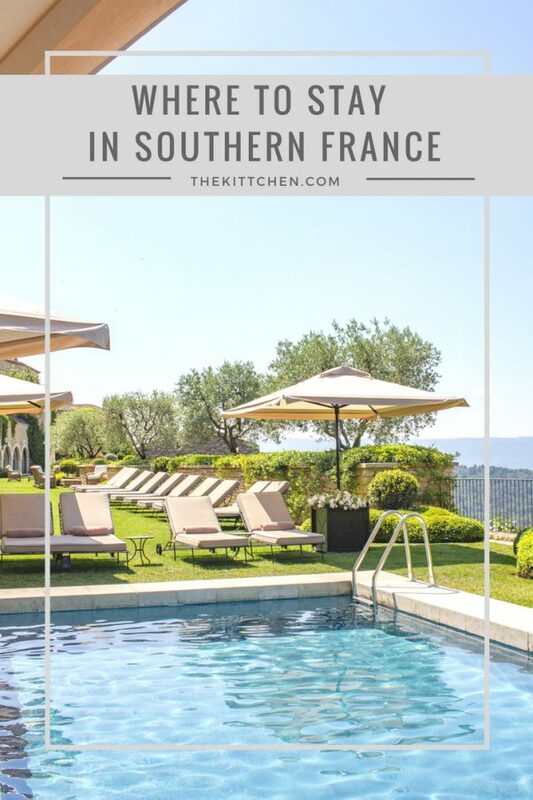 The hotel provided the combination of comfortable rooms, incredible food, a top-notch spa, and a pool area for spending lazy afternoons – plus it is in the middle of the quintessential charming French village. It’s basically where Belle lived and I cannot understand why on earth she wanted so much more than “this Provincial life”. It seemed great to me! Our room was spacious and equipped with a mini bar stocked with complimentary alcohol-free drinks. 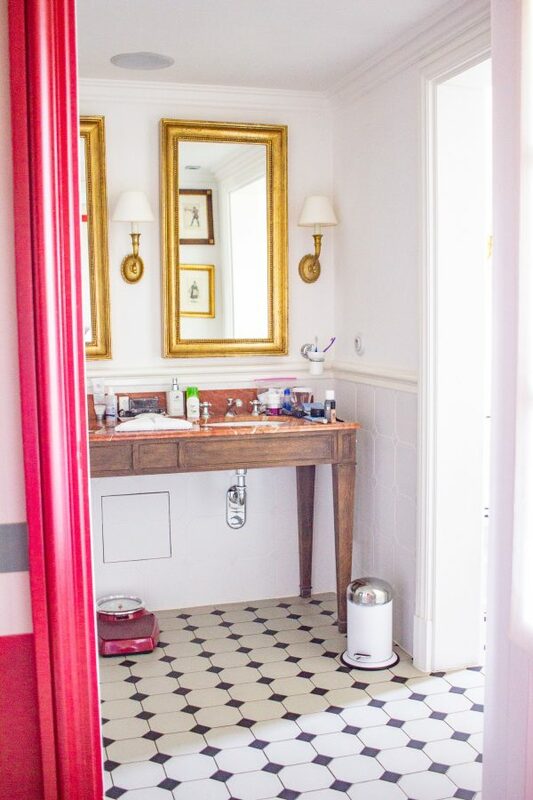 The bathroom was modern and large, and had a rain shower. The bedroom was decorated with oil paintings. Every aspect of the hotel is built around letting you take in the view. The restaurants and the rooms look over the green valley below. You can see a photo of the view from our room above, and based on the layout of the hotel we think that most rooms would have a similar view. 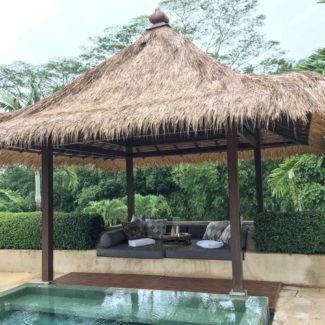 The centerpiece of the property is the lowest level which has a large lawn and a long swimming pool. Kelly and I were happy to find that the pool is kept at the absolute ideal temperature. It’s cool enough to cool you off, but not so cold that you don’t want to stay in for long. It’s exactly where you want to be when the afternoon sun causes the temperatures to climb into the 90s. 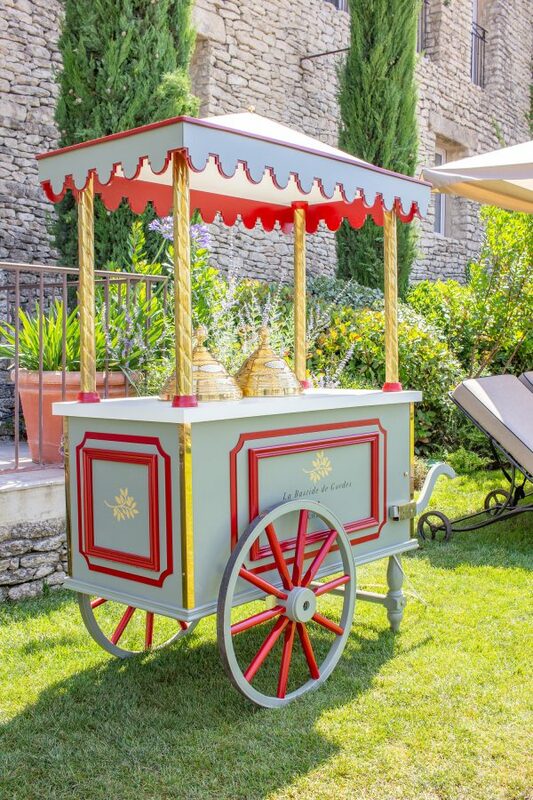 And if the pool wasn’t enough to cool you off, there is a sorbet stand just beside the pool. I liked adding a scoop of the strawberry sorbet to my L’Éléphant rosé. 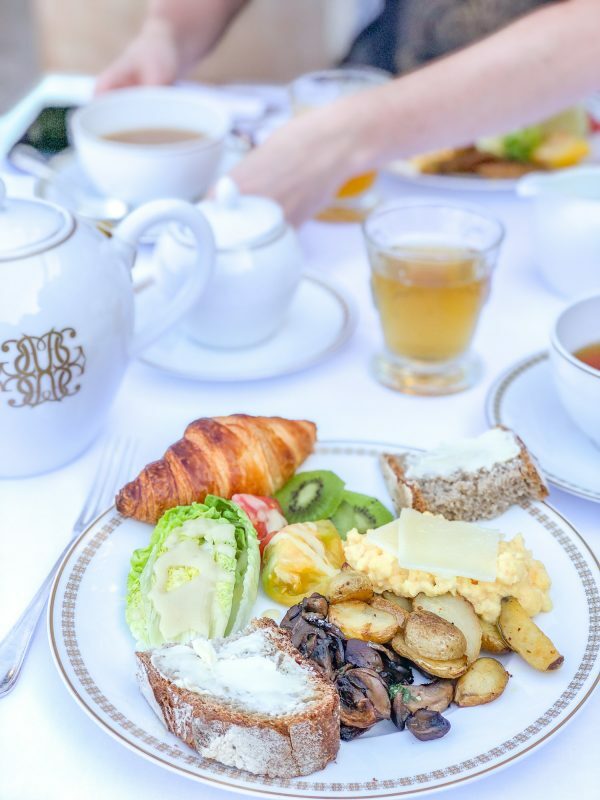 I am not a morning person, but I looked forward to breakfasts at La Bastide de Gordes. 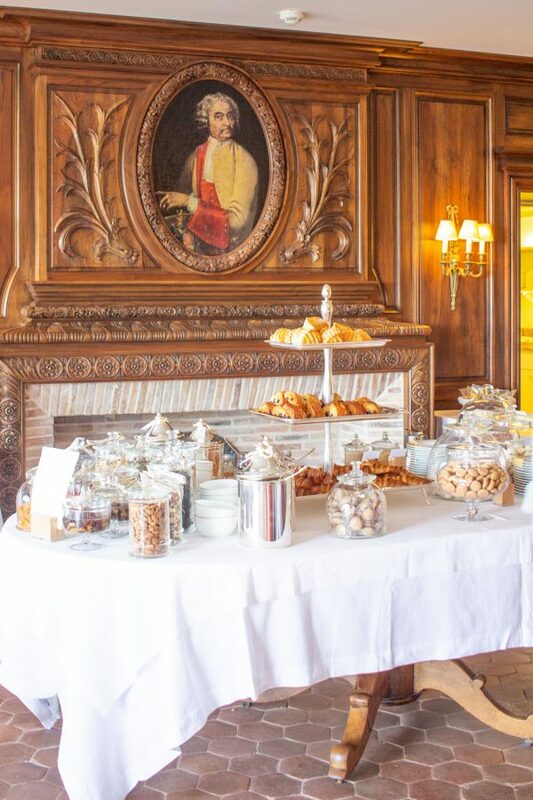 The massive spread had an entire table devoted to various pastries, and another room filled with everything from scrambled eggs and pancakes to a variety of meats and cheeses. 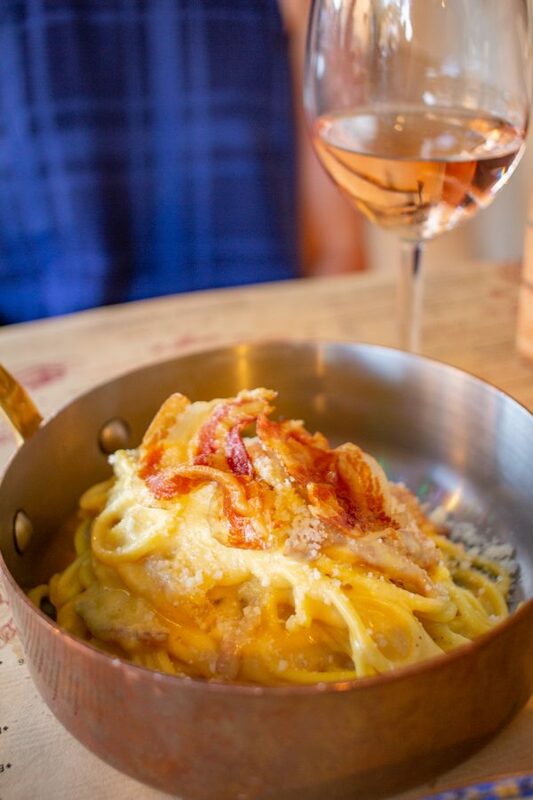 We ate so much that we didn’t need lunch. 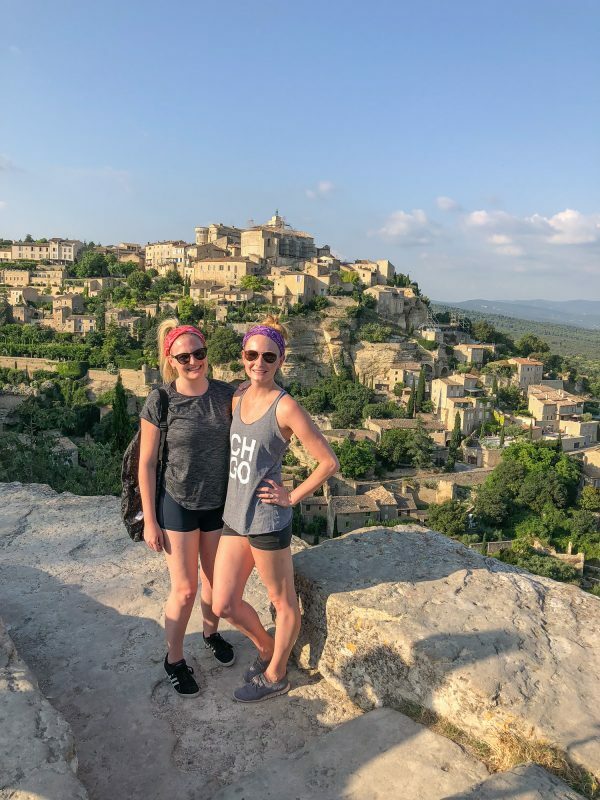 Staying in Gordes gave us the opportunity to explore Gordes in the quiet hours before the bus tours, day trippers, and cyclists fill the town. 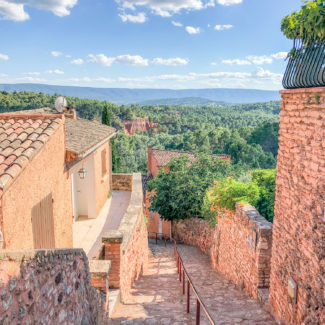 In the early morning, the town was quiet and we were able to wander the streets without encountering anyone – except one construction crew that greeted us with half a dozen individual “bonjour”s. 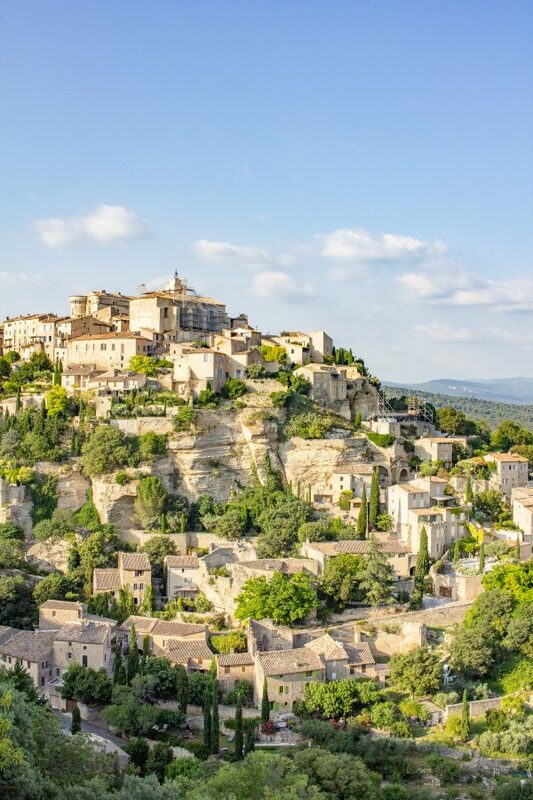 Gordes is the perfect contrast to Paris. It is quiet, the pace of life is slow, and it is an easy place to love. It doesn’t overwhelm you, it lures you in. 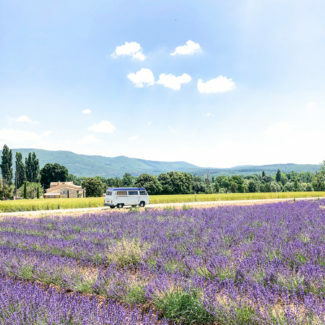 Gordes is very small, so there isn’t too much to do, but that is ok.
Gordes is just a 30-minute drive from the lavender fields, and we would spend the cooler morning hours out exploring and in the hot afternoons, we would join the other hotel guests gathering at the pool. As we lounged, we would watch bus after bus heave up the hill into the town, while we embraced the luxury of waiting until the buses left to venture into town. 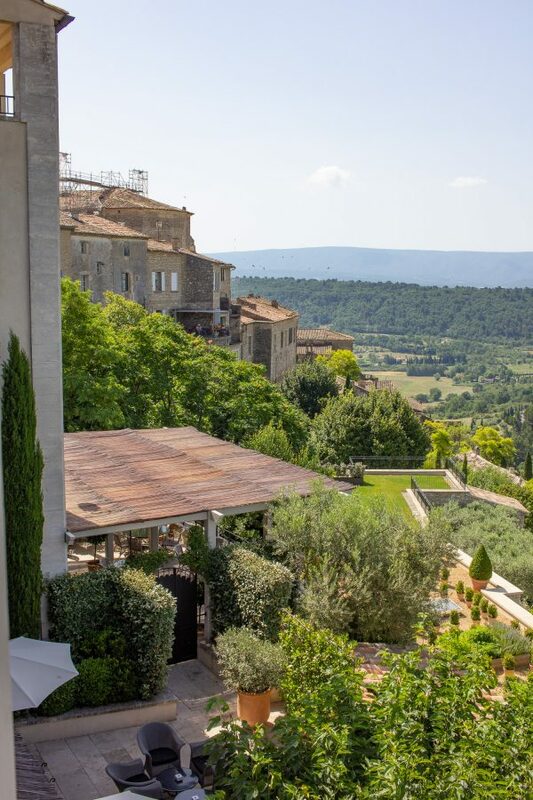 Some guests didn’t leave Gordes at all, opting for pure relaxation at the hotel property and meals in the village. 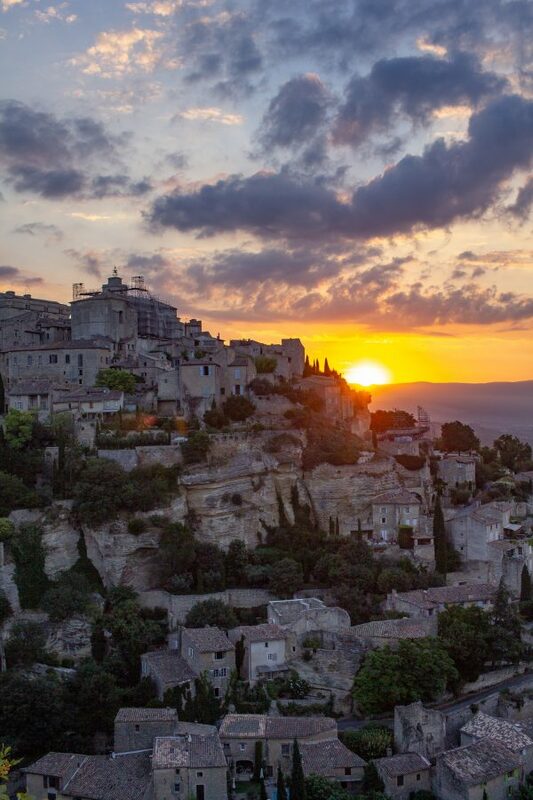 In our two days in Gordes, we learned that waking up at 5:30 to see the sunrise over the village was completely worth it. 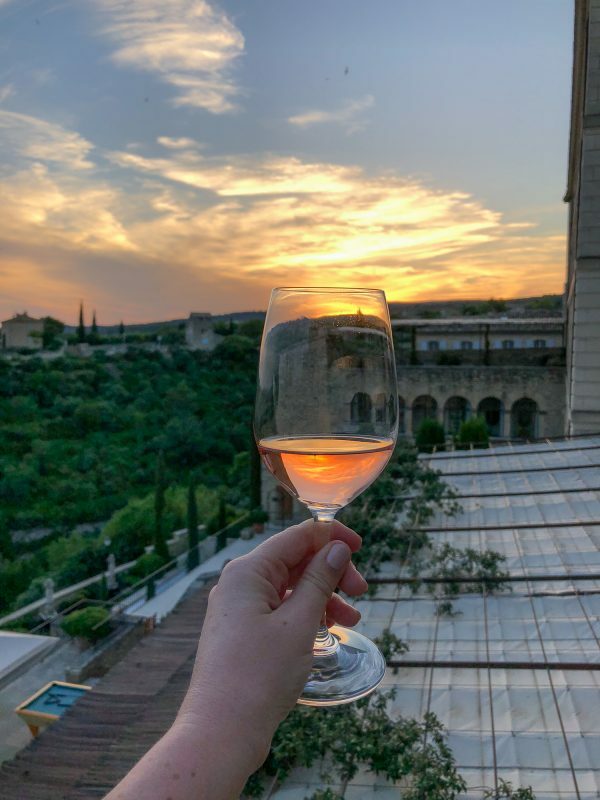 And that the best place to view the sunset was from the terrace at the hotel bar. We found the most delicious cheese and berries at the local farmers market. And we biked down to the view point to take in the view of the village from across the valley. The hills are steep and it was the only bike ride we wanted to take on – and we used electric bikes. 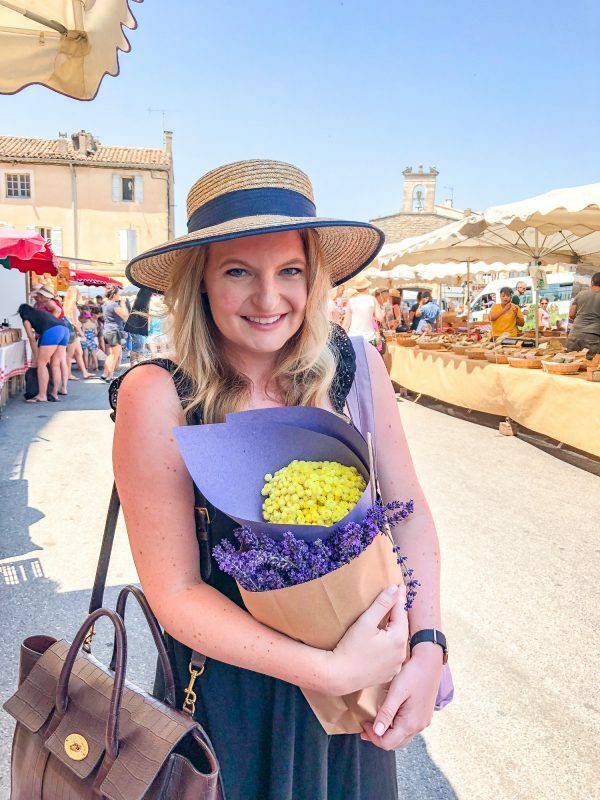 The best place to eat in Gordes is La Bastide de Pierre, a pizzeria across from the hotel which is also owned by the hotel. 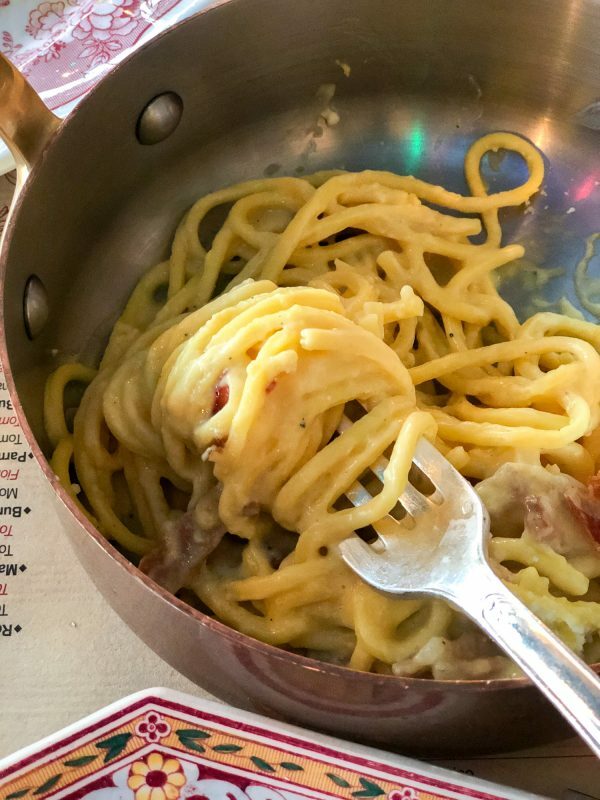 We felt a bit foolish for eating Italian food in France, but the carbonara was so wonderful that it wiped those thoughts from our minds. I love staying at smaller hotel properties because Kelly and I always make friends. The other guests are so friendly. I think it is because since there aren’t too many rooms, you keep seeing the same people over and over again. Plus, when the pool is amazing everyone is hanging out there. 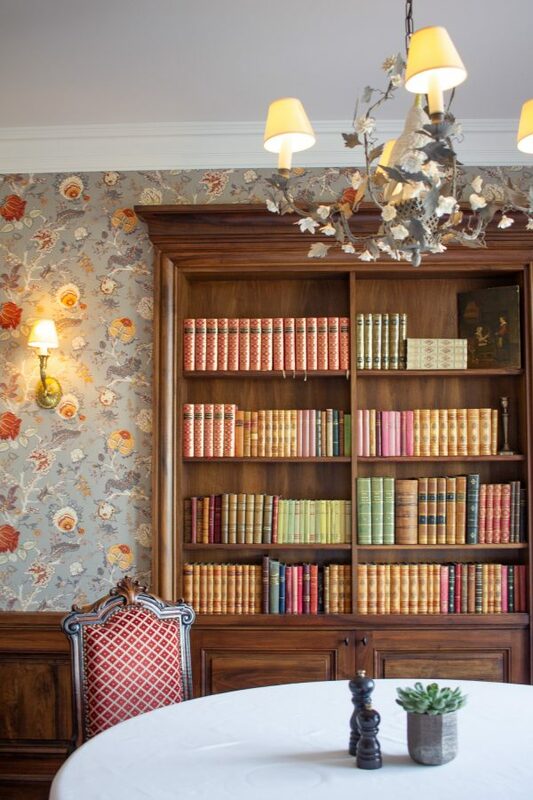 You feel like you are part of a little community of people lucky to have discovered the hotel. 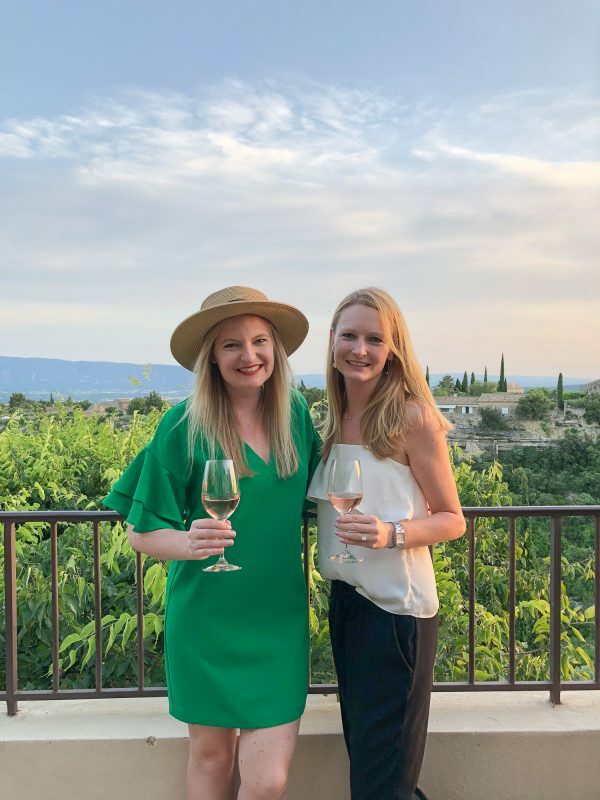 The thing that makes the La Bastide de Gordes even more exceptional is the staff. 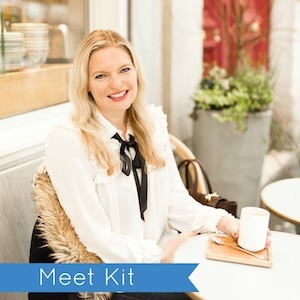 Kelly’s luggage was somehow lost on her direct flight from JFK to CDG, and no one seemed to be able to – or interested in helping her locate it. We made a dozen phone calls to the baggage teams at both airports, the airline, and the luggage service, and everyone kept staying that they didn’t know where the bag was and that they didn’t know when they would find it. 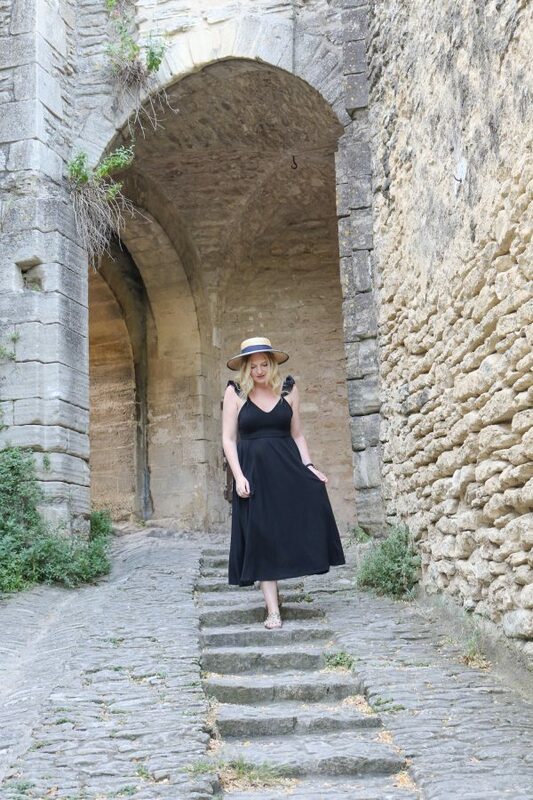 Upon checking into La Bastide de Gordes we asked the concierge for help. Just three hours later, a staff member found us at the pool and handed Kelly the phone call that her luggage was found and on its way. 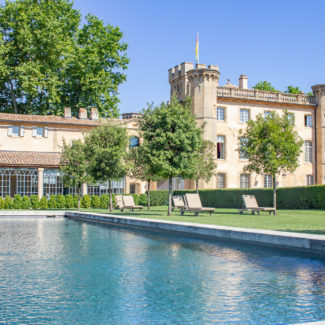 Most hotels wouldn’t go through the effort of finding a guest at the pool to inform them of a phone call, much less be able to work magic with difficult French luggage services. 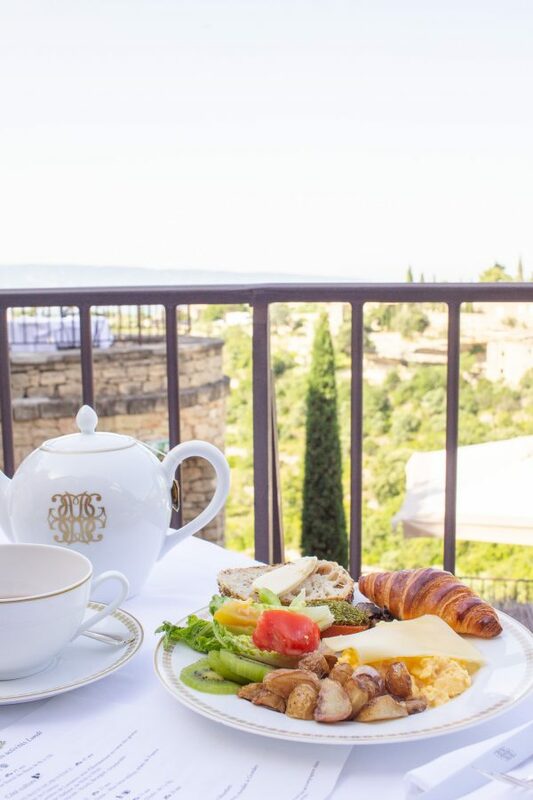 It is service like this that helps to separate La Bastide de Gordes from other luxury hotel experiences. 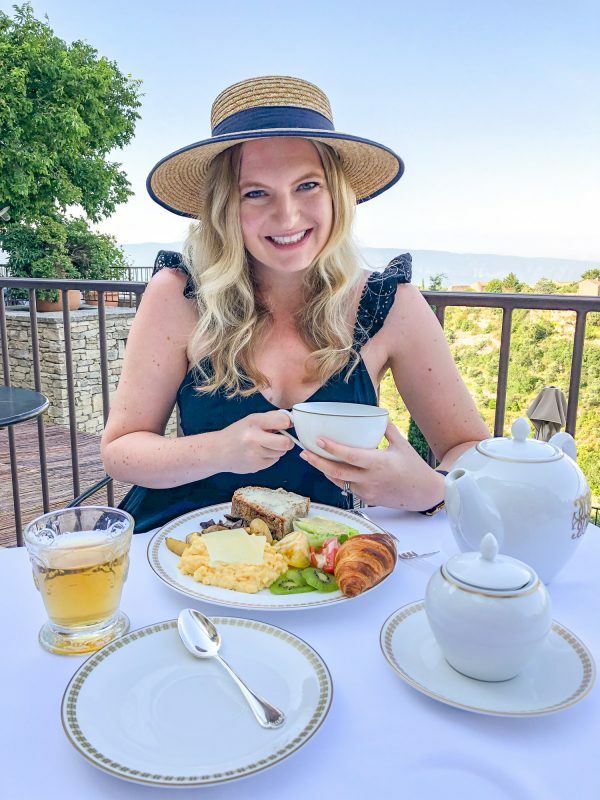 This post isn’t sponsored, I just really loved this hotel.